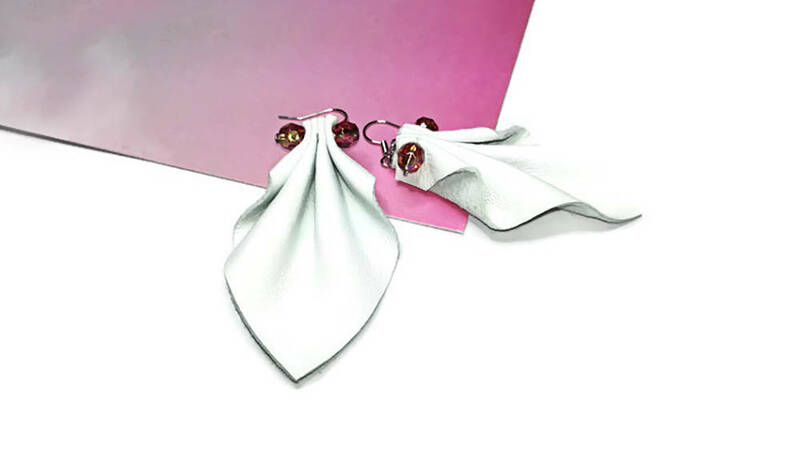 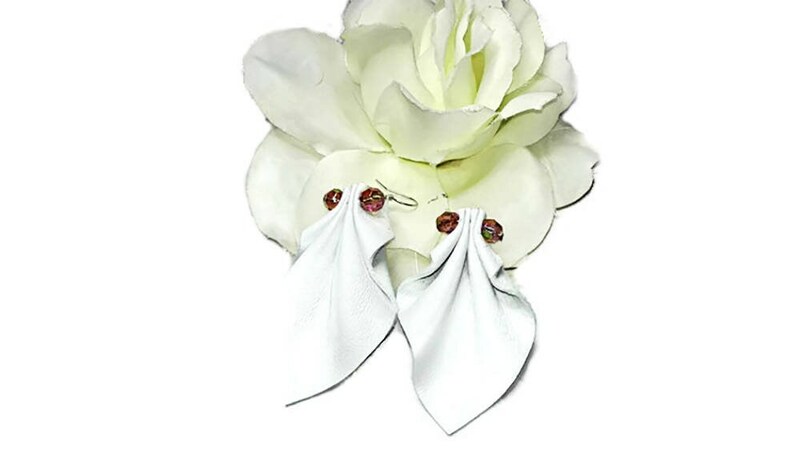 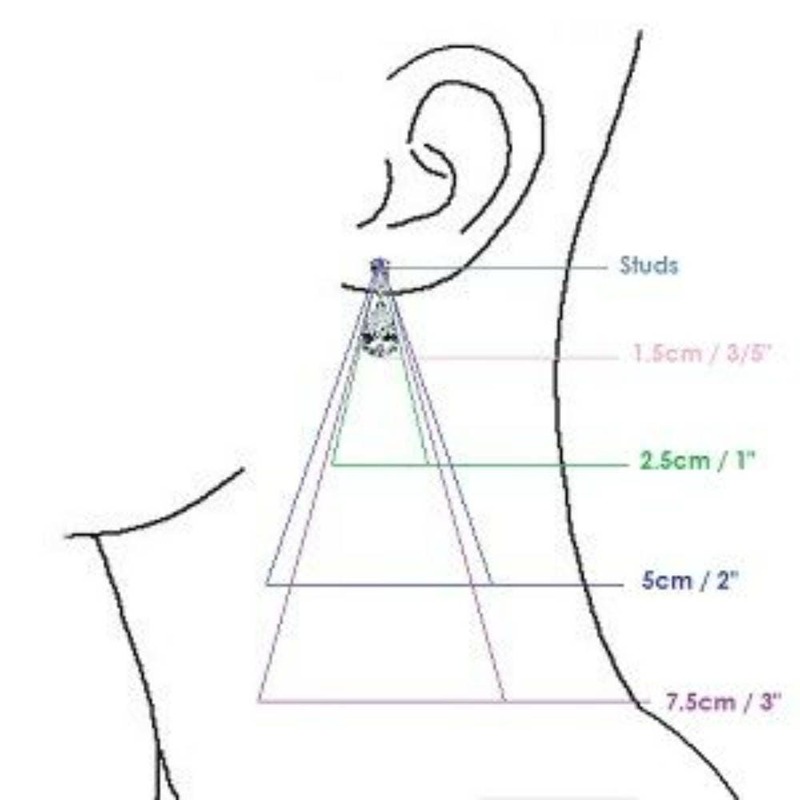 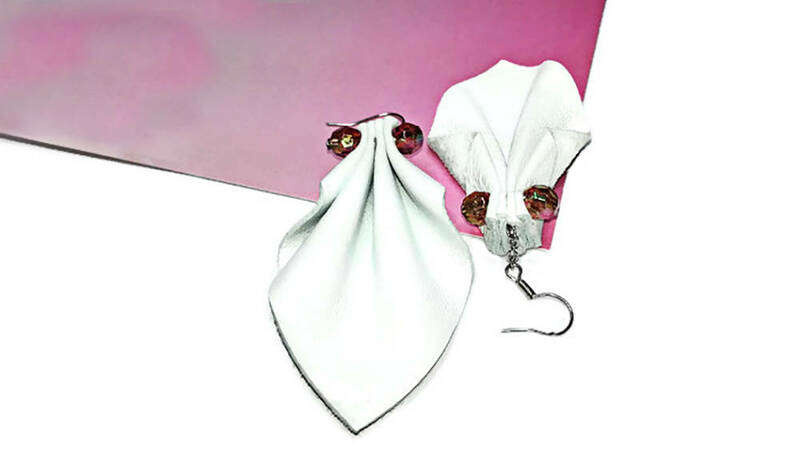 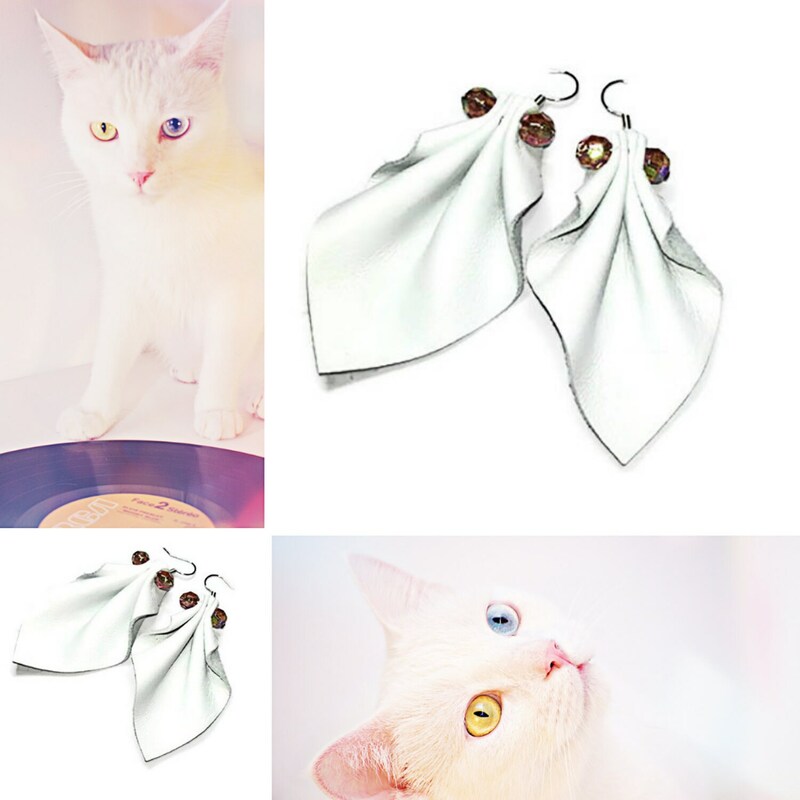 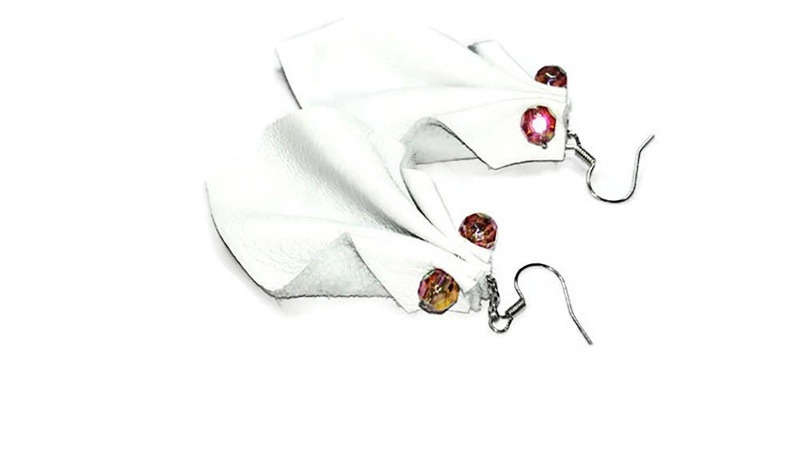 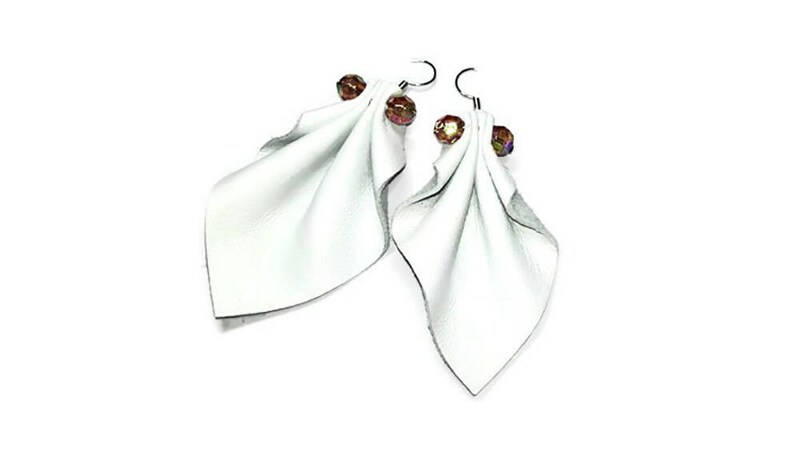 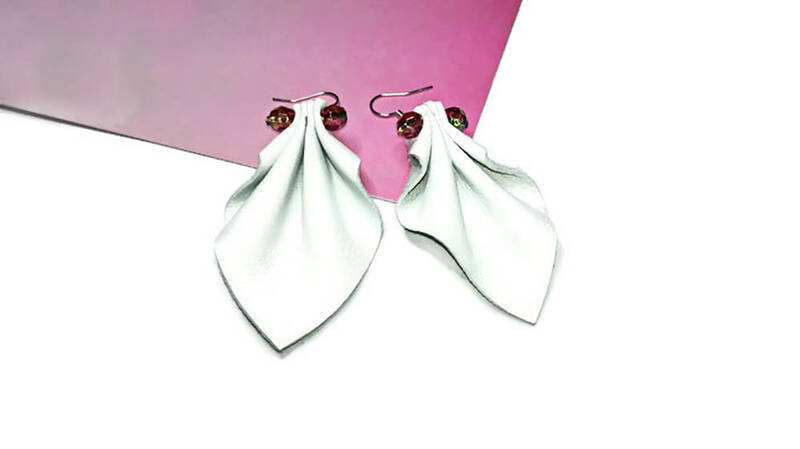 White leather geometric style drop earrings for a women. 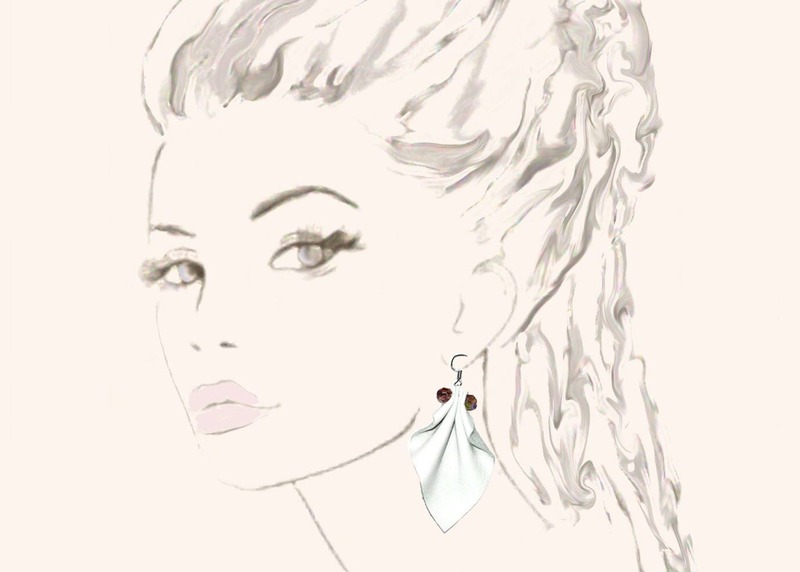 The beautiful sculpture style and the game of light and shape. 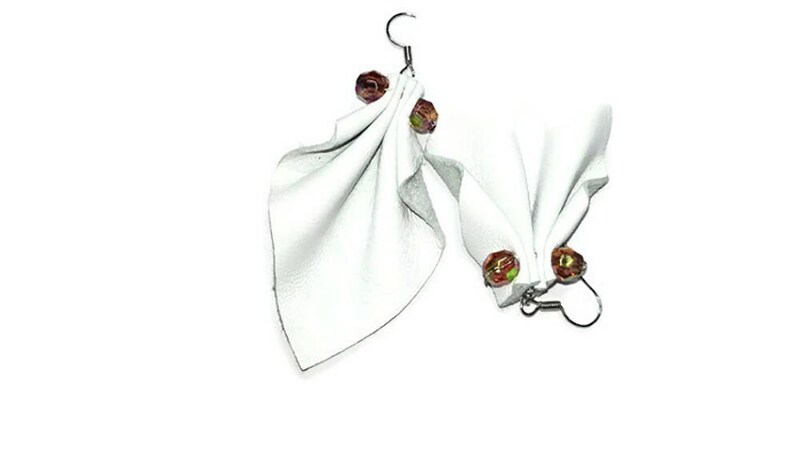 This unique jewelry is made from scrap leather and will catch attention.